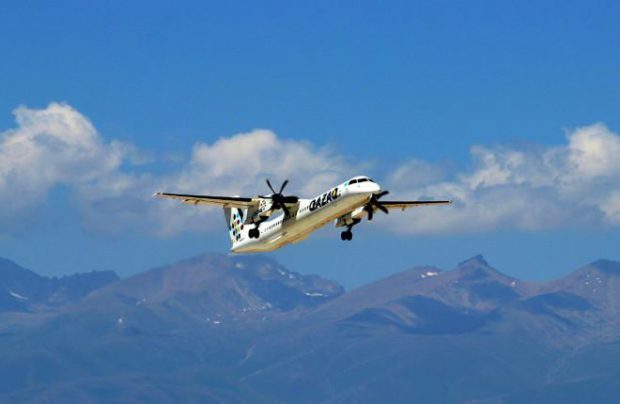 Kazakh airline Qazaq Air has reported placing an order with Bombardier for two Q400 Next Generation turboprops, with deliveries in the first half of 2019. Qazaq Air has been operating three 78-seat examples of the Canadian-made type on 15 domestic routes since 2015. The aircraft were delivered by Falcon Aviation Services of the UAE. According to the original plan, the two new Q400NGz were scheduled to arrive in the spring 2017. The airline hopes the fleet expansion effort will help it develop its domestic route network and open new routes within Central Asia. In December 2016, Qazaq Air Commercial Director Adel Dauletbek told Russian Aviation Insider that the airline was in talks over launching flights to Tyumen in Russia. Other planned new destinations include Issyk-Kul airport in Kyrgyzstan, for which the carrier would become the first international operator. The route was announced in June 2017. The Kazakh regulations do not permit a domestic airline to operate internationally until it has served the domestic market for at least three years. However, Qazaq Air confirms it performed a charter flight to Issyk-Kul this past summer, possibly thanks to the open sky regime introduced at Astana airport, which serves the capital city of Kazakhstan. The airline’s traffic has been growing faster than Kazakhstan’s market average in 2017. It surged 43% year-on-year in the first seven months, and reached 51% year-on-year for January-August. In October, the operator reported an average seat load factor of 72%, against more than 80% in summer. Qazaq Air is owned by Samruk-Kazyna, a Kazakh state-controlled fund. It has the country’s youngest fleet at 2.5 years on average.